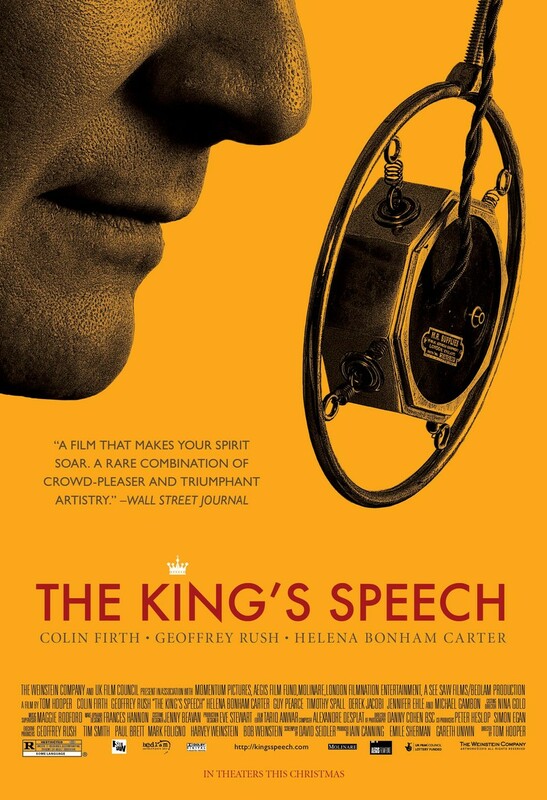 Synopsis: The story of King George VI of the United Kingdom of Great Britain and Northern Ireland, his impromptu ascension to the throne and the speech therapist who helped the unsure monarch become worthy of it. Quotables: GEORGE: My physicians… s-say it re-laxes the… throat. GEORGE: They’ve all been knighted. LIONEL: It makes it official then. Alexandre Desplat’s score was definitely more deserving than Trent Reznor and Atticus Reed’s score for The Social Network. Indeed, I think I’m one of the few people who despised The Social Network; it wasn’t anything remotely spectacular. But we are not discussing that tripe. We are talking about the marvelous masterpiece that is The King’s Speech. Colin Firth, Geoffrey Rush, and Helena Bonham Carter are nothing short of phenomenal, each well deserving of an Academy Award for their respective performances. Sadly, only Firth took home Oscar gold. The other two lost out to Christian Bale and Melissa Leo, both for The Fighter, and both of whom were also deserving of the coveted award. However, I still wish that Rush and Bonham Carter had won. The speech at the end still sends a shiver down my spine and tears in my eyes, not because it is sad, but because the King perseveres through his stammer. It is easy to surrender ourselves to our struggles, and it shows true courage to persevere through them. The speech encapsulates the very essence of a person’s tenacity in times of difficulty.